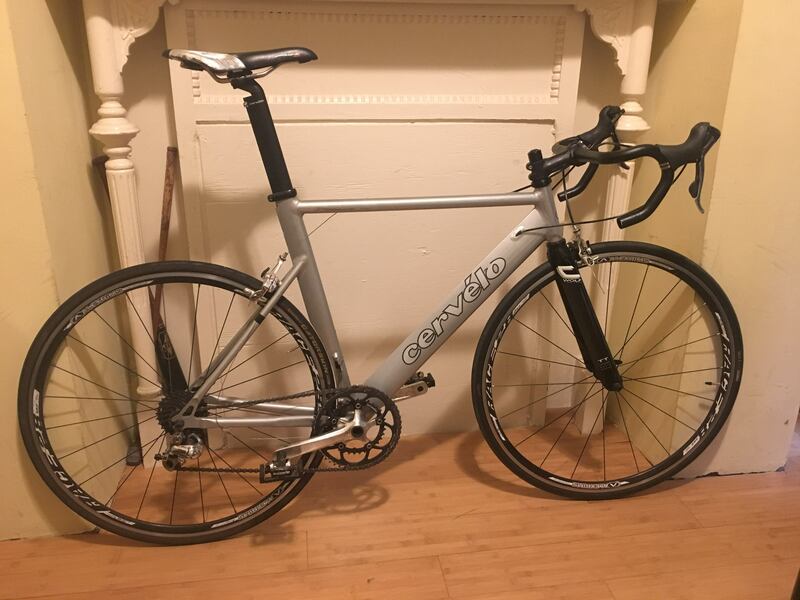 » Cervélo » Forum » Is it ok to file down a bad weld on inside of seat tube of 2001 P2K? Is it ok to file down a bad weld on inside of seat tube of 2001 P2K? Last post 12-26-2018 8:31 PM by awilson40. 2 replies. I have this 2001 P2K frame that I bought used. The seat post cannot go down as far as it's supposed to because on the inside of the seat tube there are two metal burs that appear to be from a bad weld job. Although I'm not entirely sure if it's a bad weld or maybe some other kind of build up. My main question is -- is it safe to file this down or use a reamer? Or should I keep it the way it is and just cut the seat post down? I would prefer to not cut it down if possible. 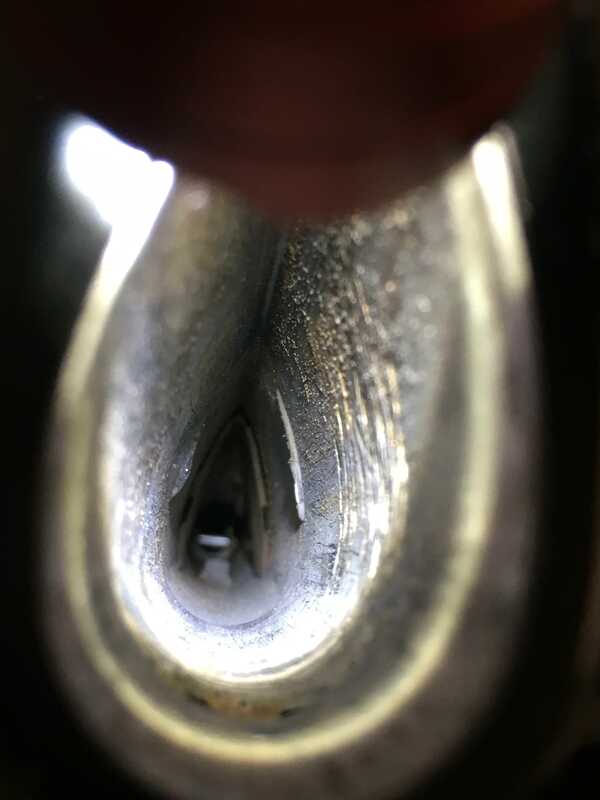 Inside the seat tube. You can see the two burs on either side. And way beneath them you can see the v shaped bracket which is where I think the seat post should bottom out. For reference, this is where the burs are from a view from the outside. They are right where the seat stays are welded. Re: Is it ok to file down a bad weld on inside of seat tube of 2001 P2K? 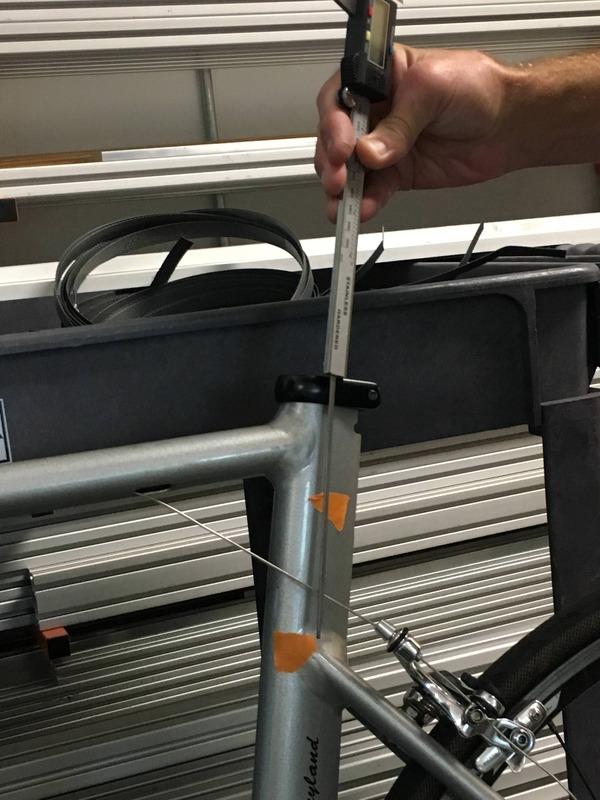 You didn’t provide any specs about the seat-post but one option would be to cut it, so it is not as long and touches the inside weld (as long as you don’t cut it too short and the length inside the seat tube meets the minimum length specs (for safety). This practice was done with previous S5 models (seat tube was cut diagonally to appropriate length if it was too long for shorter riders and not to damage the seat tube wheel cut out. Worst case you buy a new seat post, cheaper than a new frame. yes, you can file it down. I would use a curved file and take it down flush with the inner wall. BTW, I'm a CNC Engineer and I wouldnt hesitate.